I could hardly wait for an excuse to recreate this divine little cake, so I didn't! I made it the following evening for dessert! What a hit! 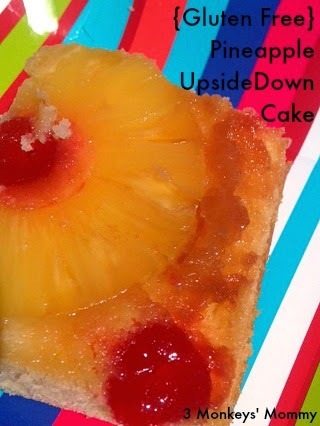 Its moist, perfect, delicious and so crazy easy to make. Its the perfect potluck dessert, too... just be prepared for the invitations to come rolling in once you share this with your friends! Since I started using Jamberry wraps a few months ago, I have definitely improved my application technique and I'd like to share some of the tips I've picked up that make the process so much easier! If you haven't checked it out already, head over here to check out my new obsession & find the link to the Jamberry Application video. Its been a while (yet again) but I am finally getting a few minutes to sit down and share. We've been spending most of our time outside in the nice weather. Its almost impossible to get the boys inside long enough to eat a meal before they are gone again! I can't complain though, I was sooooo ready for coats & boots season to end. I'm really excited to share with you that I have joined Jamberry Nails. I have been using them for a few months now and decided to take the plunge and see where it takes me. I'd like to take the opportunity now to share a little bit about these trendy, fun nail products and to share why I'm so in love! Jamberry is a family-based business. Briefly, three sisters came up with the idea to create these durable, easy-to-use nail wraps in beautiful colours and designs to appeal to nails everywhere! 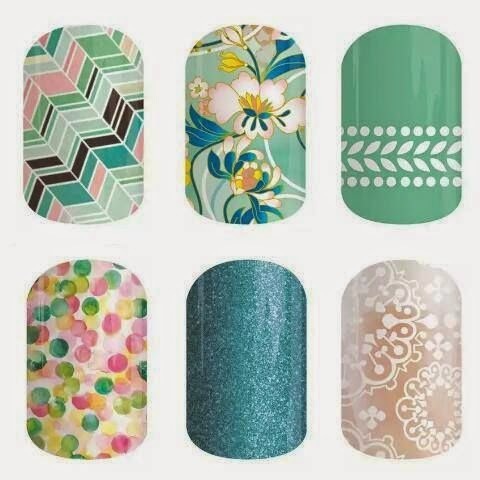 The nail wraps are non-toxic and can be applied right to your nail with heat and pressure. 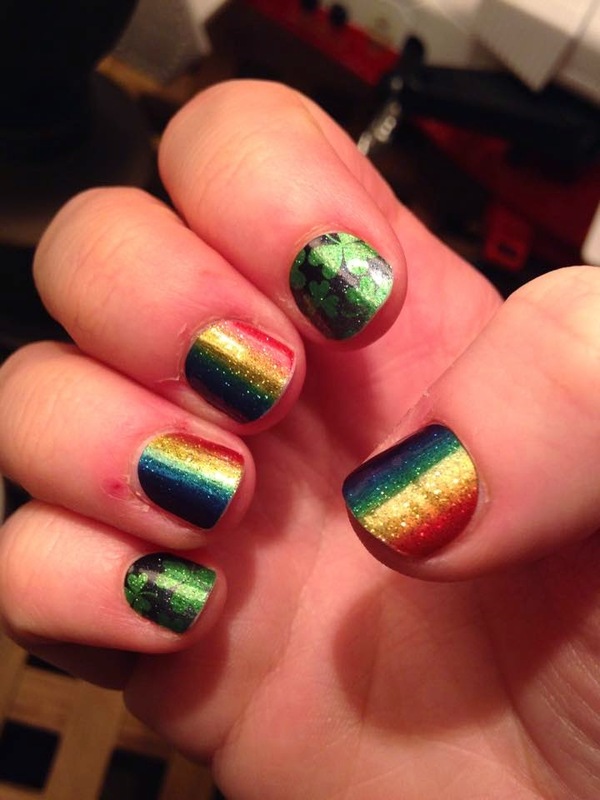 I'm a nail polish-aholic, and I love doing my nails so I couldn't wait to try these wraps! There are many benefits to using them, including the ease of application, no dry time, and no chipping! This is super exciting for me as a busy Mom of 4 little boys. I rarely ever have time to paint my nails and have them dry without someone needing something and the consequence is always bumped and flawed manicures. Also, within a day or two, polish always chips, and that's a real bummer. 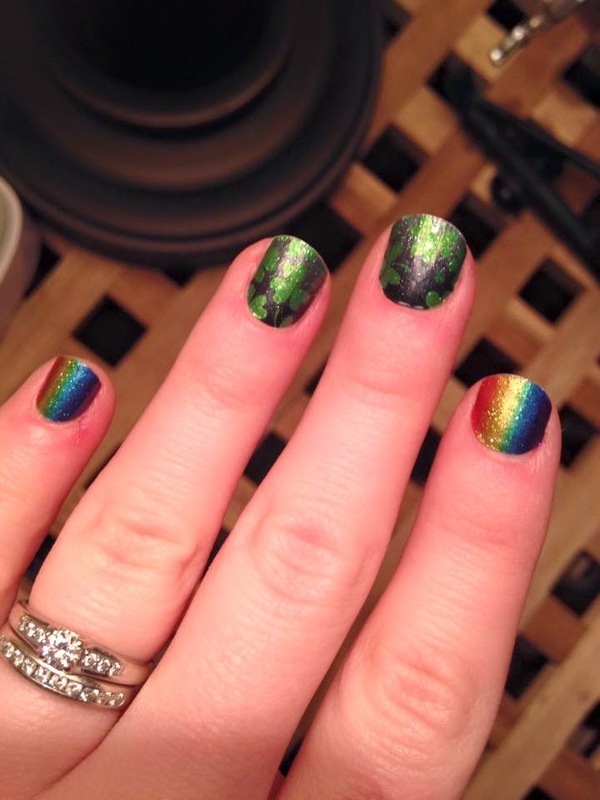 Once I learned the proper way to apply Jamberry, I was hooked! They last on my hands up to 16 days (I might have been able to leave them on longer, I was dying to change it up!) I've done my toes as well, and I got well over a month on my first attempt! 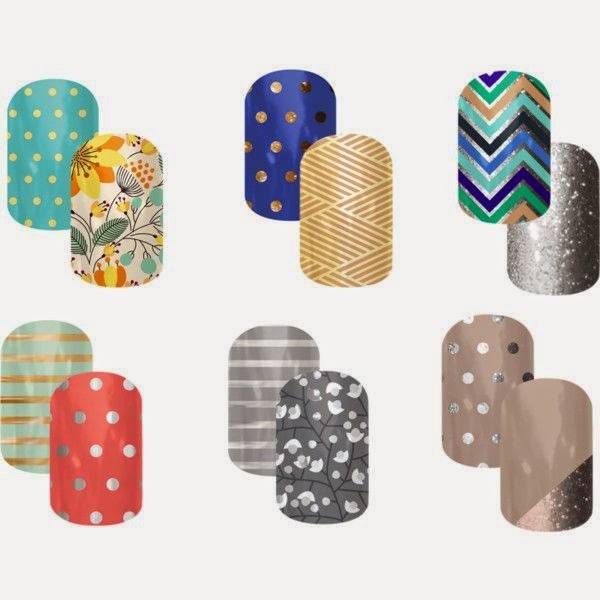 There are more than 300 nail wrap designs, solids and tips to choose from so no matter what your preference, we've got you covered. If you can't narrow down the choices, don't worry! Wraps are Buy 3 Get 1 FREE! The nail wraps come with enough to do 2 complete manicures & 2 complete pedicures, with enough leftover for a bunch of accent nails. Here are a few pics of my recent Jams. These Get Hoppy Easter wraps were so sweet! And finally, Desert at Dusk! I would love it if you would check out the styles over on my site, and let me know with a comment here about what designs you LOVE! Everyone who comments will be entered to win a sheet of accent wraps! Check out the application video! Let me know your fav design! Hello All!! Its been so long since I've posted that I hardly know what to start with! How about, Happy New Year! Its still technically the new year and I think its still allowed right? Since just before Christmas, things have been crazy around here with two boys in hockey, a major holiday, school commitments, etc. Its sometimes hard to come up for air! So I apologize for my blog neglect, and I hope that this doesn't happen again (at least for a long time...). I'm excited to share this amazing recipe! It happened because I messed up another recipe and didn't realize until I had half of the bars pressed into the Perfect Petites mould. So then I thought, rather than scoop it all out and start again, I'd just give it a go and see what the results would be. Well I'm thrilled to report.... they. are. DELICIOUS! And for a gluten free treat (especially a homemade one) no one else even noticed! 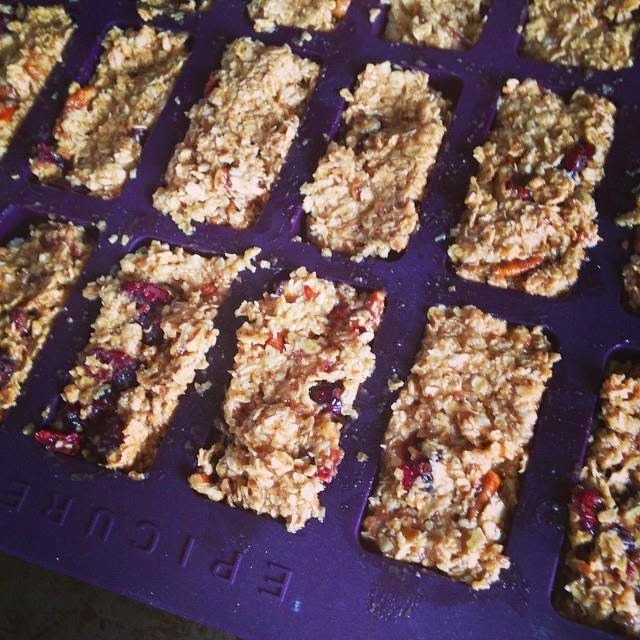 They are the perfect consistency, kind of like a granola bar with a soft centre. How EXCITING!! So then I thought to myself, "YAY! Lunch treats!". Except then I thought to myself, "you DOPE! You put pecans in the recipe!". So I'm making the pecans optional and saying use either that or double the dried fruit for gluten free, nut free yumminess! Well it's been a while since I've had a chance to get on here and actually write something! I did start this post one evening 2 weeks ago and forgot to save it so that was sad. 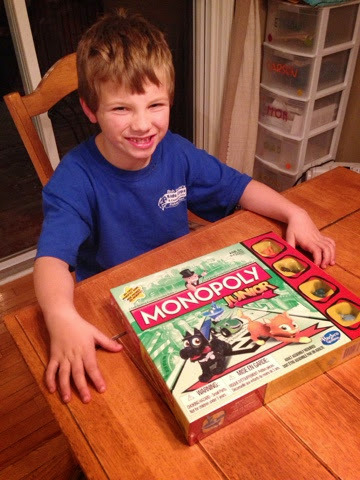 We've been really enjoying the new Monopoly Junior game that I was sent by Influenster! And I just love receiving free & relevant items to review! This one was a hit!